Every year, we think, hope, and pray that this will be the best Christmas ever. So maybe we should, and can all try to, focus more this year on that first Christmas in Bethlehem — on the Incarnation — and be truly grateful for our faith, our many gifts (both given and received), and for our families and friends. We are also mindful of the present and look toward the future as a time of growth and change. 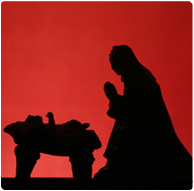 Nourished by the past and its beautiful traditions, customs, and rituals, we embrace and welcome the challenges of our days as Mary and Joseph did in their lives so long ago. Jeff & Brenda are longtime parishioners of the Redemptorists’ St. Clement’s Parish in Saratoga Springs, NY, and were recently named Redemptorist Oblates, the highest honor bestowed on a layperson by the worldwide Congregation.